It's time to highlight a few upcoming 2012 new releases. There are quite a few upcoming historical romances releasing within the next few months that I'm really looking forward to reading. Here are just a few of them, beginning with the end of February and ending with May 2012. In two classic tales of Regency-era romance from New York Times bestselling author Mary Balogh, the vagaries of love have a way of challenging the most convenient arrangements. The Temporary Wife (1997) and A Promise of Spring (1990) were originally released by Signet. They have been out of print forever! 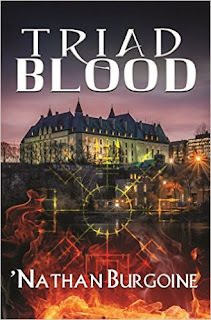 Dell is re-releasing both of those books under one cover, and as I'm a Balogh fan, this is a "must buy/must read" for me. All would have proceeded smoothly--if it weren't for the maddening interference of Darius, the arrogant Earl of Southwaite, who has been her father's "silent partner" and now shares ownership of Fairbourne's. An earl, of course, has no interest in running an auction house--and Darius is certainly not interested in allowing the lovely Miss Fairbourne to run it either, her ludicrous scheme notwithstanding. Clearly the business must be sold. I like Madeline Hunter's books. It has been a while since I read any of them, although I do have a few of them in my "to be read" pile. But this is an opportunity to begin with the first book of a new series. I'm getting on the bandwagon. Fate has given a disgraced Rake one final chance to redeem himself--by taking his place as the rightful master of an ancestral estate. But nothing prepares him for his shocking encounter with a beautiful lady who has fled a world filled with betrayal. Now he will awaken in her a passion more powerful than anything she has ever known--a passion that can doom or save them both if they dare to believe. And.... yay! Hart's book is coming! Am I going to miss the fourth book about the Mackenzie brothers? No way! I've liked Hart from the beginning and can't wait to find more about him. Plus I really liked Lady Eleanor in the last book. I'm curious, really curious. This is a "must read" for me. So these are just a few of the upcoming historical romances I'm looking forward to reading from now until May 1st. How about you? Is there a historical romance you just cannot wait to read? Oh, I need to get me these Balogh books, I read the first two and I actually liked them a lot. If you haven't read The Temporary Wife you're in for a treat! It is my favorite of her old trads. Just an awesomely crafted book. I'm also looking forward to the new releases here! Some good stuff coming it seems. O.M.G.! I have a copy of The Rake! I inherited it from my mother and I adore it! It is very battered, so I would love a new copy! It's a brilliant book! I love the hero to absolute pieces and IMHO the heroine is unconventional and I love her for that! Bring it on! Phyl, I can't wait to read all of these. It's good to know that The Temporary Wife is a favorite of yours, I'll read it with care. Orannia, I thought of you when I saw that The Rake was being re-released. I remember you posted about the book being a favorite before. I think it's a great way to update or replace old books, or get to read out of print books. I'm excited too! RE: Conor's Way by Guhrke. There are some awesome reviews about that book around! Just check out Phyl's site, Breezing Through and Wendy's site. The book is for sale at amazon for 0.99 cents on ebook. I bought it and will be reading it too! Great books - I'll have to add these to my list - especially the Balogh. They all sound so good. I'm especially looking forward to reading the Thomas - I love her books. Trace, a new Balogh is always a great addition! IMHO, lol. You have a great list of reads coming up too! I'll looking up the MacLean and the Michaels. I've only read the first two books that Sherry Thomas wrote but haven't followed up on the rest. I'll wait for your review! Nice list. The Hunter book looks promising along with the Balogh. Confession time... I've never read a Mary Balogh book. I think I will start here. Oh Brie! 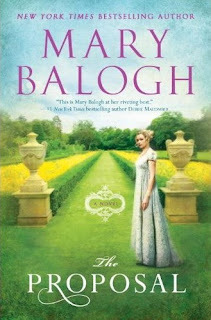 Mary Balogh is a favorite of mine... character driven romances. I hope you enjoy this book and other books if you decide to read her backlist. She has plenty of great books there! I'm still catching up with some of her best books. I'm looking forward to reading the Hunter. I'm hoping this will be a good series. I bought Conor's Way last week myself and read it over the weekend. I loved it like everyone else did. I have to go revisit all those tbr challenge reviews now. I see it's listed at $3.99 now. It is lendable through kindle so I could lend it to someone but I haven't tried to do that before. Anyone know how? Very nice list :) But how comes it's all historical? LOL. I might give the Madeline Hunter a try. It sounds pretty interesting :) Most probably getting the Jennifer Ashley as well. And is The Proposal HC? Christine, isn't this a great list? I'm a little impatient waiting for them to release. :) And you read Conor's Way already! I hope to read it next month... I'm glad I got m copy of the book at the 0.99 cent price. I saw the new Meredith Duran book and just KNEW you'd be getting it... LOL! I'll look forward to your review! Nath, I decided to feature historical romances for a change... sigh... I'm looking forward to reading quite a few of them. :) I know we're both looking forward to the Jennifer Ashley book. I just realized that I put Sherry Thomas's new book as Beguiling the Beast. Duh. It's Beguiling the Beauty. BIG difference. lol Sorry. LOL Tracy! I can see how you made that mistake! I didn't even notice the error in the title until you mentioned it, but yes... there's a HUGE difference. LOLOL!